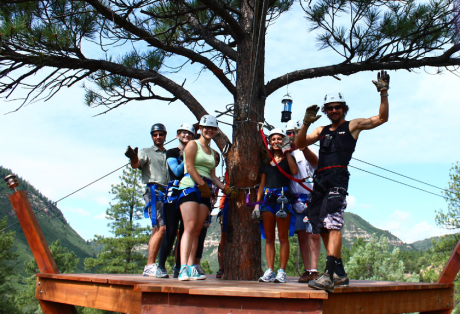 This popular 3 hour zipline adventure goes through 12 ziplines. 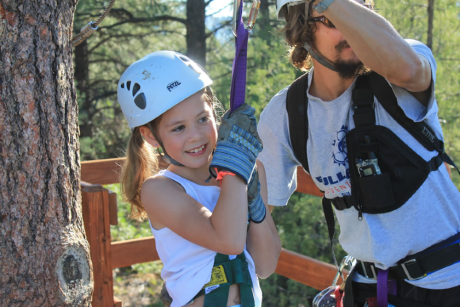 You will enjoy gliding among the Ponderosa Pines and the breathtaking mountain views. The final zip lands on the deck of our roof top patio or a 40 foot freefall from our giant tower! Drinks and snacks are included. This trip does include a 15 minute hike to the start of course with a 500 foot elevation gain. Must be in good physical condition. This 2 hour zipline adventure goes through 6 ziplines. 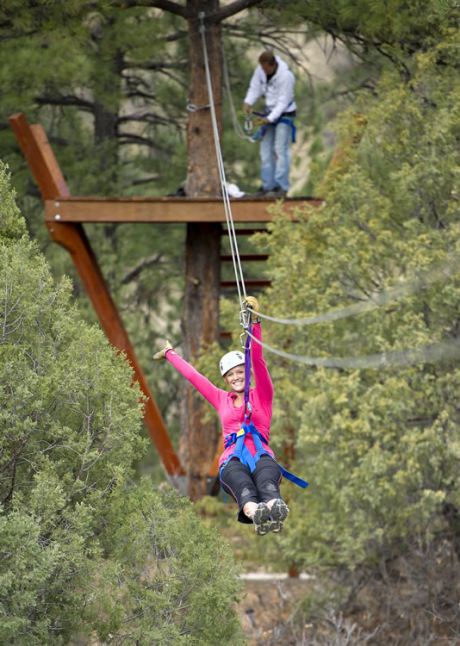 You will enjoy gliding among the Ponderosa Pines and the breathtaking mountain views. The final zip lands on the deck of our roof top patio or a 40 foot freefall from our giant tower! Drinks and snacks are included. Cancellation | Cancellations must be received at least 24 hours prior to arrival to receive a refund. Any cancellations received inside of 24 hours prior to arrival will be non-refundable. Deposit | Full payment is taken at the time of booking. Other | Cancellations must be received at least 24 hours prior to arrival to receive a refund. Any cancellations received inside of 24 hours prior to arrival will be non-refundable.